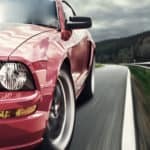 Why is Engine Oil Pressure Important? Before we look at the causes of low oil pressure and what causes the engine oil light to come on, we need to understand why engine oil is important in the first place. At the most basic level, engine oil is responsible for reducing the friction between engine parts that are in motion. However, that isn’t its only purpose. Engine oil also helps the cooling system by absorbing heat that later is dissipated in the oil pan and/or engine oil radiator. Reduces friction between moving parts (connecting rods, crankshaft, camshaft, pistons, gears, etc). Helps the cooling system by dissipating part of engine heat. Creates a seal between piston rings and cylinder walls providing better compression. It's cleaning agents keep contaminants from damaging moving parts (abrasion). Improves the fuel economy by reducing wear and friction that otherwise would be wasted as heat energy. In order to fulfil the above, motor oil needs an adequate flowing rate through the different engine parts, which is only possible with proper car engine oil pressure. The lubrication system consisting of the oil pump, oil filter, and oil passages is in charge of providing such oil pressure to the engine. The objective of this article is discussing the different factors that could cause low oil pressure in the engine. Oil leaks. This is one of the most frequent causes of low engine levels and should be addressed as soon as possible. Oil evaporation. Depending on the weather and oil viscosity you may experience oil evaporation. Even when it’s highly unlikely that this can affect the oil level in the short-term, can be one of many factors influencing the problem. Oil degradation. As will be explained in the next section, oil degrades over time. Degraded oil loses its properties (including viscosity) which has a direct impact on the lubrication system pressure. The constant cycle of heating and cooling down. The friction forces of mechanical parts. The dirt, engine metal debris, and fuel contaminants that combine with oil. The contamination/degradation process is inevitable due to the oil working environment. That’s why paying attention to the suggested oil change interval is important. Arguably, the most dangerous consequence of all is the last one, higher viscosity which is discussed in detail in the next section. Engine oil has many properties, but one of the most relevant is its viscosity. Oil viscosity is so important that is used as one key parameter during engine design. In particular, engine cavities and conduits are designed with a specific oil viscosity range in mind. You may wonder how viscosity affects oil pressure and what it has to do with engine design. Let’s assume that your engine owner’s manual recommends using 5W-20 synthetic oil. That’s a low viscosity oil, which means engineers most probably designed oil galleries with a tiny diameter. If you ignore the oil specifications and use a 15W-40 instead of 5W-20 then you will be using a thicker oil that presumably won’t flow through oil passages or if it does, will do it at a slower rate than the 5W-20. The outcome of such exercise could be massive damage to the engine due to lack of proper lubrication, especially on the upper section (camshaft, pushrods, tappets, rocker shaft, etc). So we can assume that using a thicker engine oil is not a good idea, but what about a thinner one? Let’s imagine the contrary, a vehicle that suggests using 15W-40 and you use a 5W-20 engine oil instead. Oil flow won’t be a problem in that case. However, since 5W-20 oil is not prepared for the higher engine and/or weather temperatures, it will break down. When oil breaks down loses its lubricant properties, meaning that your engine parts will be exposed to metal-on-metal contact. The result, a broken engine. So as we can see, using the wrong engine oil viscosity is not advisable. This also applies to dirty or degraded oil, as mentioned in the prior section. A degraded oil changes its viscosity and thus could potentially cause the same level of damage. Engine oil filters are designed to capture contaminants, metal debris, dirt, and any other harmful element from flowing through the lubrication system. Its role is crucial, since they stop the engine oil becoming saturated with such particles that otherwise would cause wear in moving parts. Like any other filter, the engine oil filter is designed with a finite lifespan. Depending on the brand and engine oil type, you can expect a typical oil filter to last from 3,000 to 20,000 miles. The golden rule regarding the oil filter is to match it to your car manufacturer specifications. For example, if the car owner’s manual suggests using 5W-40 synthetic engine oil and replace it every 5,000 miles then you should change the oil filter with each service. Changing the oil filter regularly is the only way of preventing it from clogging, and that’s exactly what should be avoided. A clogged oil filter will have a direct impact on engine oil pressure. A restrictive oil filter will significantly lower the oil pressure and hence will pose a threat to engine moving parts. But that isn’t the only threat. Internally oil filters have a security device called a “relief valve”. When the oil filter pressure reaches a certain value the relief valve opens and allows oil to flow through the engine, to help prevent damage. The oil is now bypassing the filtering element, which means it can quickly become highly contaminated and not work as it should. Another factor affecting motor oil pressure is internal engine wear. As time passes, critical engine parts will wear down. The most frequent example on high-mileage engines is worn engine bearings. Excessive wear on the crankshaft, crankshaft bearings, and rod bearings will decrease the overall oil pressure. That’s something to be expected because oil restriction when flowing through these orifices will be almost inexistent. An engine suffering from low oil pressure due to its internal wear is clearly approaching its end of life. There is little to do in this regard besides a partial or a complete engine rebuild. At the heart of the lubrication system is the oil pump. This one component is responsible for delivering the engine’s oil pressure. From a design standpoint, oil pumps should last the entire engine life of the engine. However, they can fail before that depending on vehicle maintenance and usage. 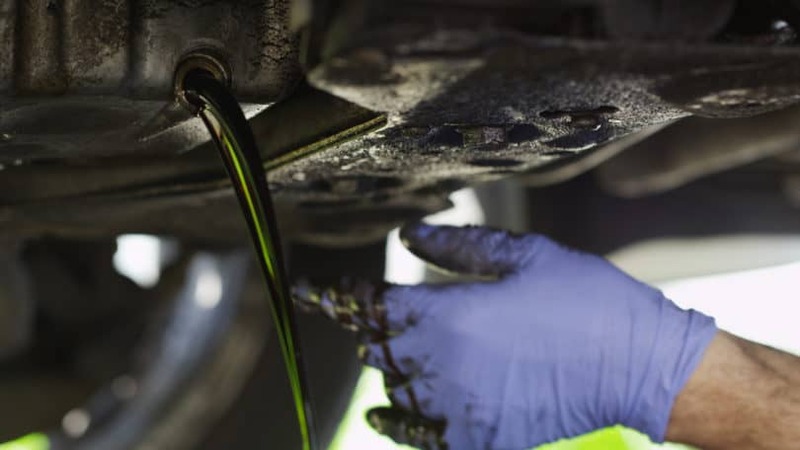 If the oil changes intervals were too prolonged, the oil level was kept too low for extended periods of time, or the vehicle was used in demanding assignments such as towing, police work, ambulance, and similar jobs, then the oil pump may fail prematurely. Higher than normal engine temperature. Oil leak coming from the oil pump. Last but not least, the entire situation of low oil pressure could be a false positive. It's often a good idea before taking on major repairs to check the engine’s oil pressure sensor first. Depending on the year and maker of your car this sensor could as simple as an electrical switch that sends to the Electronic Control Unit (ECU) a signal indicating low oil pressure or could be a more fully-featured pressure sensor. The best strategy to discard a possible sensor problem is to use an automotive (OBD) scanner to perform a quick check. Connect the scanner to the vehicle diagnostic port and turn the ignition switch on (engine off). Look in the data stream for the oil pressure sensor value. For switch-based sensors, you can unplug its connector and check the scanner screen. Take note of the reading. With the sensor still unplugged use a wire to bypass the signal to the ECU. Again take note of the sensor value. Sensor signal should change from ON to OFF (or vice-versa) when you bypass the signal. This is the normal behavior indicating a working sensor. Fully-featured pressure sensor diagnostic is very similar. An unplugged sensor should indicate no pressure on the screen and a bypassed sensor should go to full pressure. If the vehicle is equipped with an oil pressure gauge then you should be able to see the changes in the instrument panel.